The mushroom body is too woody to be consumed thus all recipes call for the cooking or soaking out of the beneficial properties. 3. Use within 7 days. My personal way to drink this is either take a shot glass and drink 4 shots a day, or heat it up in a coffee cup, stir in honey and lemon juice. 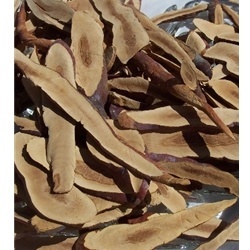 Reishi is best taken in the morning with an empty stomach. Drinking more water will also help enhance the effects of Reishi by helping the body get rid of poisonous waste.It is also recommended to take Vitamin C with Reishi as this will assist the body in absorbing the active ingredients in Reishi. Studies have shown that Vitamin C helps break down the complex polysaccarides into smaller manageable pieces that the body can intake. We will send instructions on how to make the tea and extracts and the recommended dosage in with your order.